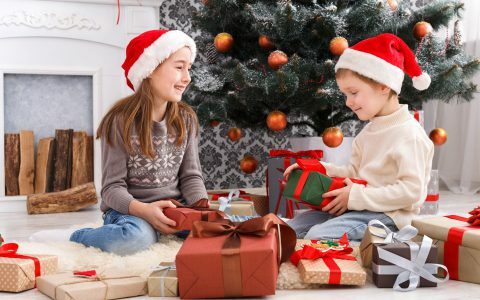 If your little one loves being active then surprise them this Christmas with a present that encourages them to get outdoors and have fun! Take a look at my 6 top gifts for sporty superstars for a little inspiration. We all want value for money and the Globber Evo 4 in 1 Scooter gives you just that. 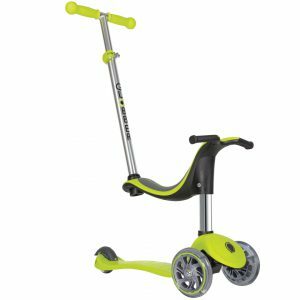 This transforming scooter can be used from as early as 12 months old and should last them until they’re six years old. 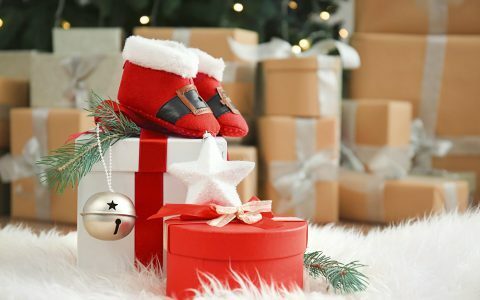 It’s sure to make your little one’s Christmas! 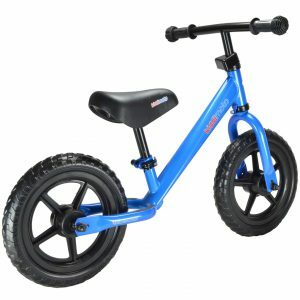 Your little one’s eyes will light up on Christmas morning if they receive their very own Kiddimoto Super Junior Balance Bike. They’ll feel all grown up as they learn how to balance and steer! 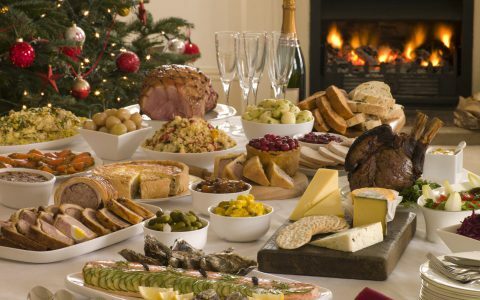 A fantastic gifts for sporting superstars! Is your little one football mad? 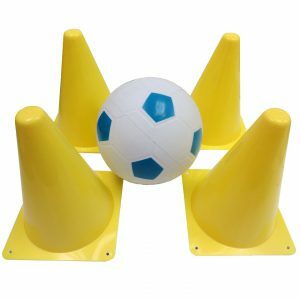 Help them to get that practice in quick using the TP Toys Soccer Ball and Cones. You can’t go wrong with this super soccer set. Little ones will learn some skills and get plenty of good exercise to boot. 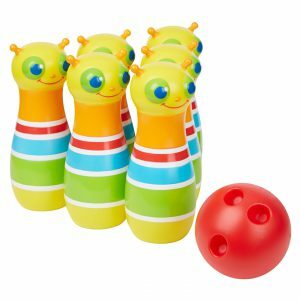 Strike lucky this Christmas with the Melissa and Doug Bug Bowling Set – it’s bound to be a hit with the kids. 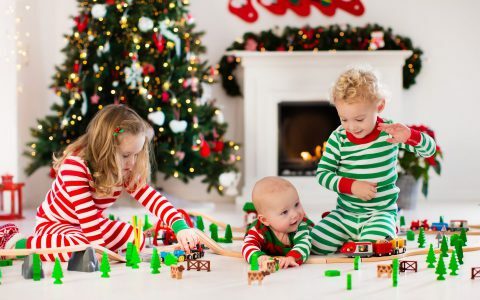 Suitable for little ones aged two upwards, this cute set will help to improve your little one’s hand-eye coordination, giving them hours of fun. At just £2.99, the Peterkin Mega Fun Skipping Rope is an ideal stocking filler for your little ones this Christmas. This 7ft pink skipping rope is an absolute classic! With its pretty lilac plastic handles and holographic detail – it’s super cute! How cute is the MyChild F1 Walker! It’s suitable for children from 6 months to use as a rocker. 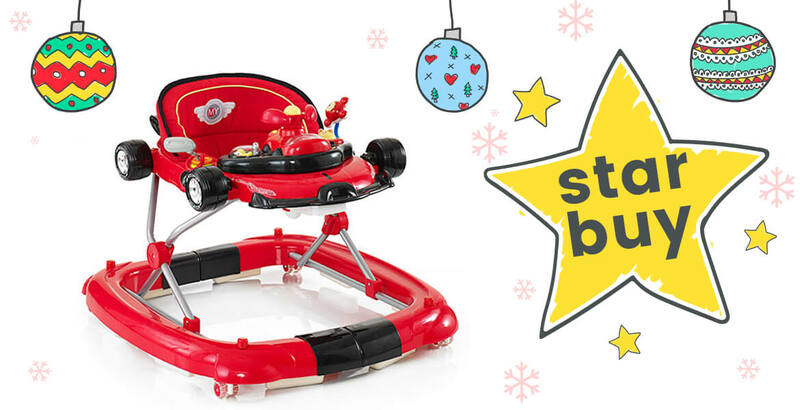 The detachable play tray with lights and sounds is perfect for keeping your baby amused. Plus, it can be used as a walker for your baby’s first wobbly steps. An ideal gift for a future F1 driver! 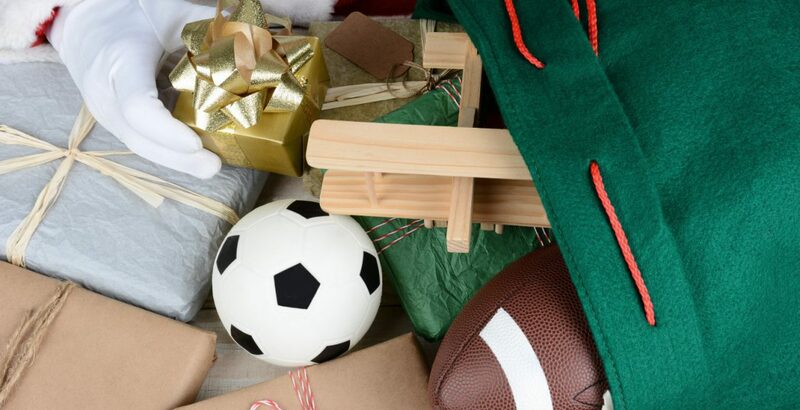 Which gift do you think your sporty superstar will love? BECKY IS THE SOCIAL MEDIA MANAGER FOR UBER KIDS. SHE WORKS TO BRING YOU FRESH AND UNIQUE CONTENT EACH WEEK TO HELP YOU ALONG YOUR PARENTING JOURNEY. WHEN SHE'S NOT AT WORK SHE PLAYS 'MUM' TO A LITTLE FOUR-LEGGED MONSTER - HER CAT, ANNIE!